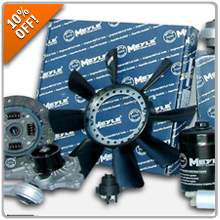 This July Fourth we’re offering 10% off all Meyle for your vehicle. Have an upcoming DIY planned? Shop Meyle within our catalog for the OE replacement parts you need. Enter promo code MEYLE at Step #4 during checkout where it says, “Have a Promo Code? Apply it now.” Offer Valid: From June 29, 2017 to July 6, 2017!